to standard rise heights and standard widths. size on the drawings you will need more room than the sizes on the plan. We are also flexible on the direction and widths of these staircases. 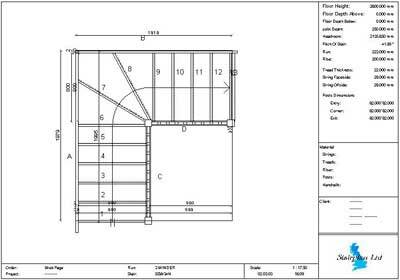 Look at the plans below and call us on 01952 608853 with your requirements. 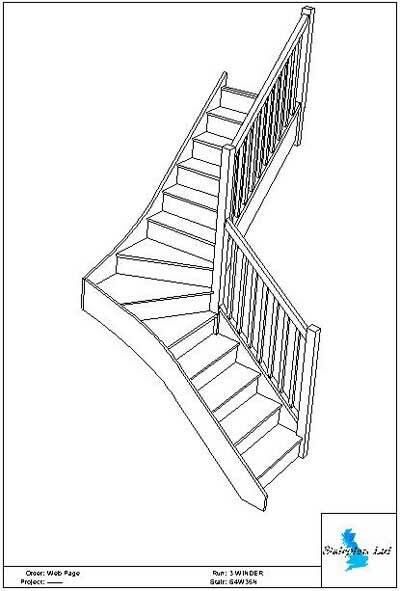 If you have drawings already Fax them to us on 01952 228679.
the sizes you will need for your new staircase. below showing you what the staircase looks like.